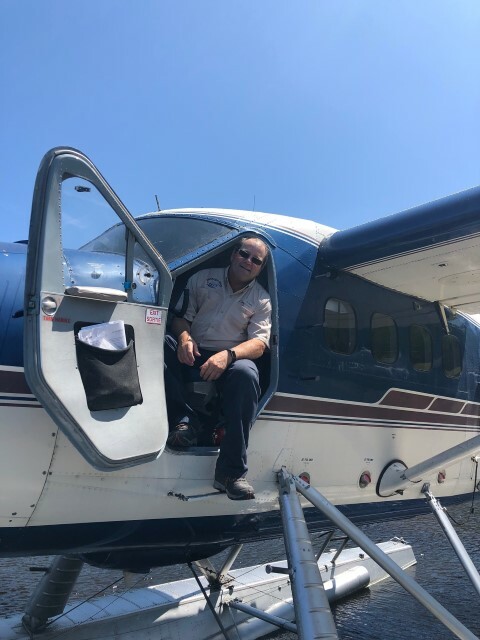 With over 30 years of experience and over 10,000 hrs flying Beavers and Otters in the Canadian Wilderness, Lou Deroucher is a special pilot! Back in late February we began speaking with Lou, seeing if he was interested in flying with us. Dave and Lou exchanged some jokes and conversation, and they quickly formed a friendship. 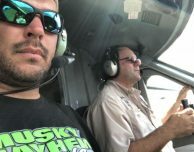 We just knew he would make a wonderful addition to the Nestor Falls Fly-In team. Dave and I were so lucky to have met him! As the son of a bush pilot & engineer, he got started early. He grew up in Northern Ontario, so he’s been experiencing the Canadian wilderness for a very long time. In fact, French is his first language. Because Canada is a bilingual nation, it’s important to us to have that type of diversity represented at Nestor Falls Fly-In. No matter which language he’s speaking in, Lou’s friendly personality and good nature are sure to keep you entertained on your flight. Whether you’re taking the short trip to Kay Lake (20 air miles) or one of the longer trips out to Herod (200 air miles), Lou’s got enough jokes and stories to keep things interesting! 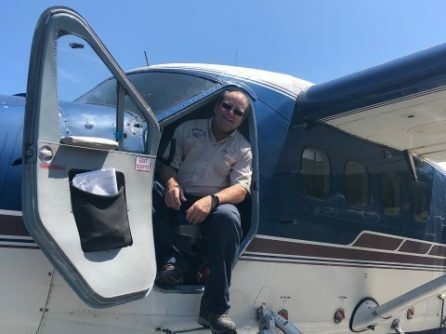 We like to think that you keep coming back to Nestor Falls Fly-In because of your great experience, and Lou is part of what makes fishing with Nestor Falls Fly-In Outposts so special.